It’s been a few months since our last Books & Bakes, but I think it’s time to dig in and do some quality reading. Given our current political climate, I thought we should dig down into an important book about race. 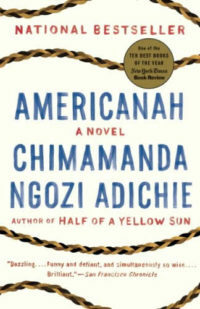 This month we’ll read the Nigerian writer Chimamanda Ngozi Adichie’s deeply relevant novel “Americanah,” published in 2013. The “New York Times” said that the novel “examines blackness in America, Nigeria and Britain, but it’s also a steady-handed dissection of the universal human experience — a platitude made fresh by the accuracy of Adichie’s observations.” I’m deep into it and can’t wait to discuss it with you.